To celebrate the upcoming release of the Amnesia: Collection on Xbox One, Frictional Games added a new difficulty setting to it’s classic survival horror game. 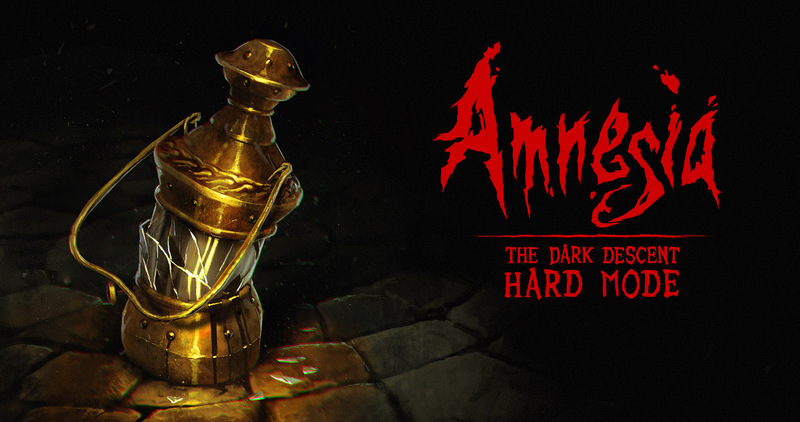 Frictional Games have announced that they are adding a new Hard Mode to Amnesia: The Dark Descent, in a new update on all platforms. This is to celebrate the release of Amnesia: Collection (at least, in America). The mode will disable auto saves, and require players to sacrifice four precious tinderboxes to perform a manual save. These tinder boxes will be far more rare throughout the levels along with oil for your lamp, Enemies will deal more damage, are faster, take far less time to spot you, will stick around an area for longer. Oh, and there is none of the usual music ques that let you know an enemy is near. On top of all this: When your sanity reaches zero, it’s instant death. In short: you’re gonna be crying into your keyboard out of sheer hysteria and frustration. As Frictional Games summed it up, “the environments are harsher, the monsters more unforgiving, insanity is deadly, and death is final – unless you pay a toll.” You will be able to pick between Hard Mode or Normal Mode when starting the game, but cannot change your mind midway through the game. Those of you brave and persistent enough to finish this mode will earn a new “Masochist” achievement. This mode will not be available in The Dark Descent’s sequel, A Machine For Pigs, or the expansion for the original game: Justine. Have you played any of the Amnesia games? Do you plan on playing through Hard Mode? Have you played Frictional Games’ other game Soma?